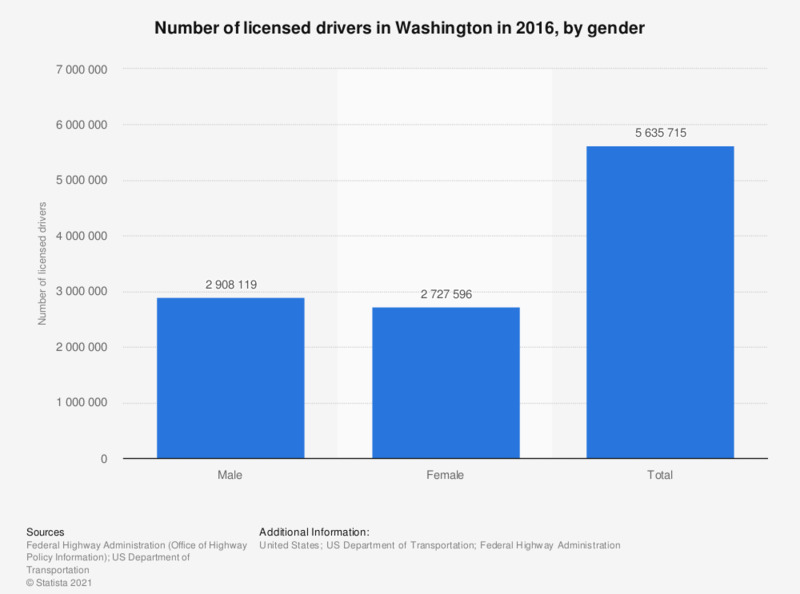 This statistic represents the total number of licensed drivers registered in Washington in 2016, with a breakdown by gender. In that year, Washington had approximately 2.73 million female licensed drivers on the road. Includes restricted drivers and graduated driver licenses.